You don’t own a “phunnel” for your hookah??? “Abed El Kader” shisha-Have you tried? 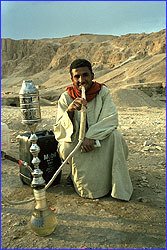 Smoking Hookah sells Abed El Kader shisha made in Jordan. I smoke their many authentically tasty flavours all the time. They are cut wide like Nakhla with a good ammount of juicy¬†¬† molasses and glycerin. Check out the above link. The red shisha on the left is the cut similar to Abed El Kader.